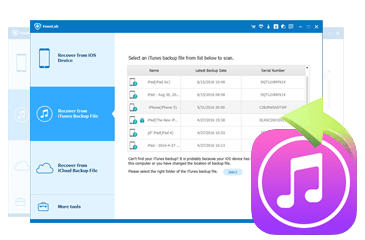 ▶ Restore data from iCloud backup to local disc quickly New! 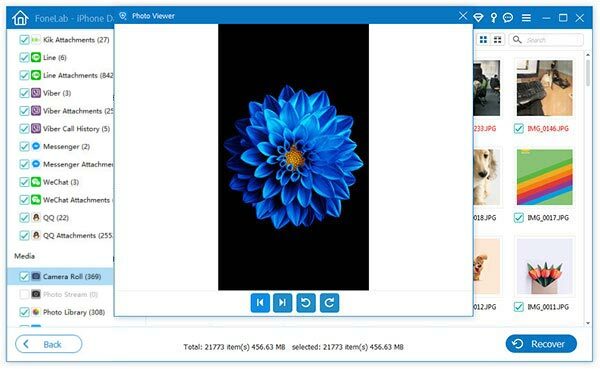 After testing FoneLab millions of times, we guarantee this software is no harm to your iOS devices and data. In case your careless operation made you lose important information on your iPhone 4/3GS, iPad 1 and iPod touch 4, don't be sad nor worry. FoneLab allows you to find it in no time. Most file types, including Contacts, Messages, Call history, Calendar, Notes, Reminder and Safari bookmark, are supported. If your device is locked because you have forgotten the password, or it is smashed, crashed or even broken but the information means a lot to you, don't worry either. You still have access to the lost/deleted and existed data with the help of FoneLab. 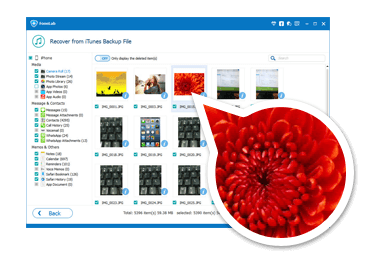 Scan and export the information so that you could make backup. 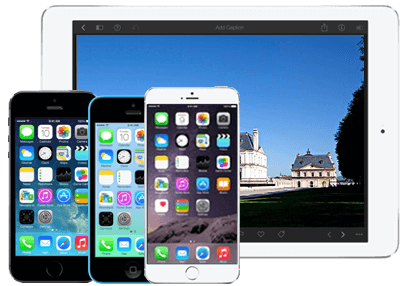 Eight types of lost files on your iPhone 5s/5c/5/4S, iPad 4/3/2/Air, iPad mini/mini 2 and iPod touch 5 can be retrieved: Contacts, Messages, Call history, Calendar, Notes, Reminder Safari bookmark and WhatsApp. Connect your device to computer and FoneLab will help you find it back with a decent amount of speed. If your device is locked or caught with other problems as mentioned above, FoneLab is still available all the same. All the required data could be scanned and exported. Backup the information just in case. No matter your idevice is lost, broken, crashed, or wiped off due to upgrading or jail-breaking, FoneLab helps you recover data from iTunes backup with aplomb. It can scan and recover files that is already deleted and still existing under Contacts, Messages, Call history, Calendar, Notes, Reminder, Safari bookmark and other nodes. However, for files under other nodes, you can preview and export them to your local computer. After the latest update, FoneLab now allows you to restore the data in your iCloud account quickly. 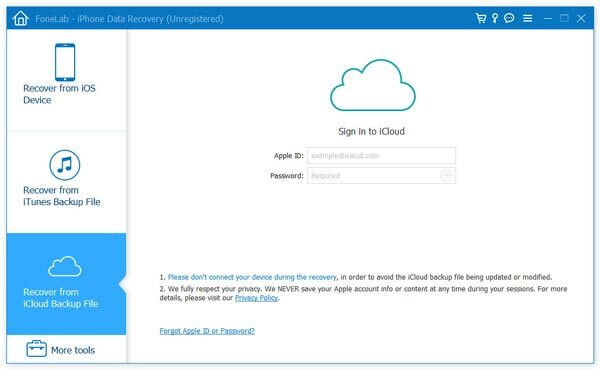 Sign in to your iCloud account, download and restore what you need accurately. Compared with iCloud itself, FoneLab gives you more freedom in choosing what you want to recover and where to save the recovered files. This recovery mode supports recovering lost Contacts, Messages, Call History, Notes, App Document, Calendar, Reminders and Safari Bookmarks from your iCloud Backup. 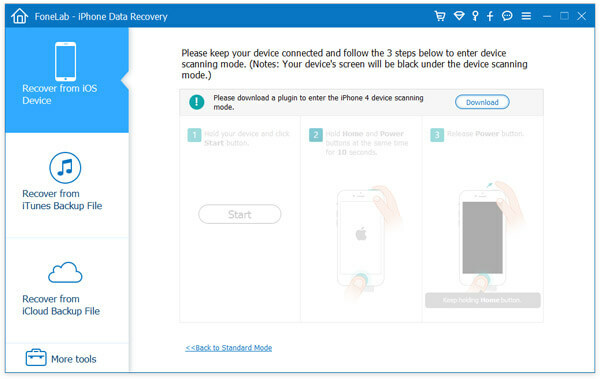 FoneLab provides you three recovery modes for you to retrieve lost or deleted files on your iPhone/iPad/iPod touch. Here we introduced these three ways separately. Please download and install FoneLab on your computer at first. 1. Connect your iPhone, iPad or iPod touch with computer via USB cable. After your device is detected, click Start Scan and the scanning process will start. 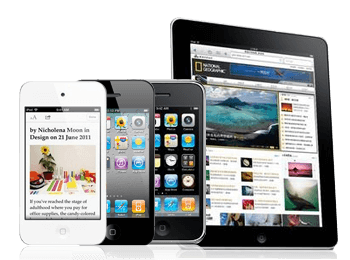 If you are using iPhone 4/3GS, iPad 1 or iPod touch 4, you need to download a plug-in and enter the scanning mode following steps on the interface. 2. After scanning, all the files in your device will be listed in categories. 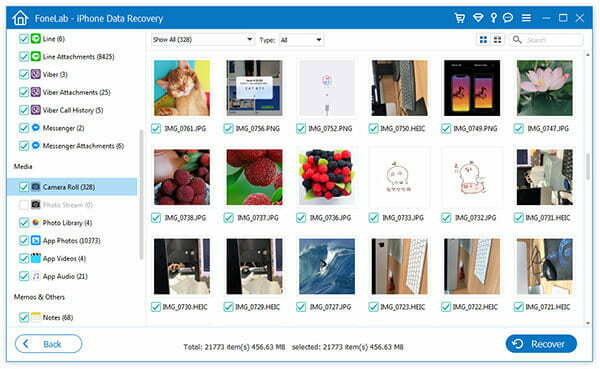 After launching the program, choose the second mode Recover from iTunes Backup File. All the backup files in your computer will be detected and listed. Scan the one you need. 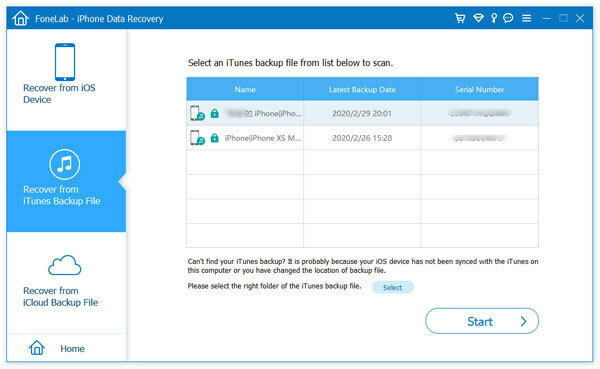 In the main interface of the program, choose Recover from iCloud Backup File. 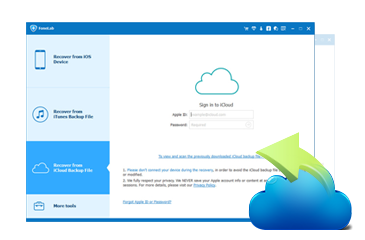 Sign in to your iCloud account and the backup files in your account will be listed. Choose the right one and click Download. Wait for a few minutes until it is downloaded. After the recovery is completed, the file folder where the recovered files are saved will pop up automatically. You can find what you need in specific folder. Whatever the Situation is, Fonelab Recovers Your iPhone/iPad/iPod Data with Ease.